Everything Just So: Princess Charlotte of Cambridge! HRH Princess Charlotte of Cambridge. What a beautiful child! © PA photo. It was exciting news to hear of the Royal Baby finally making her appearance on Saturday and then it was fun waiting to hear the announcement of her name, which was made today. My mother and I predicted William and Kate would name her Charlotte Elizabeth Diana, in that order, and I am pleased to tell you that we were exactly right! It’s a great name and honors so many of the little princess’s family members. On a personal note, I can’t help thinking that William and Kate have really good taste since they made Charlotte the baby’s first name. I have a princess Charlotte of my own and while she despises princess-y things she is queen of my heart! It was interesting to read in the Daily Mail that BabyCentre expects a drop in popularity of the name Charlotte since William and Kate have used it and new parents of infant daughters won’t want to be viewed as being influenced in their naming choices by the young royals. I don’t agree with BabyCentre, I think the name is poised to become more popular, Chelsea Clinton named her daughter Charlotte last September too, but if it remains at its present popularity, meaning not the hot name on the block, that will suit me and my girl just fine! My Charlotte is the only one in her grade and she told me the other day she will be glad when the other two Charlottes in her school, both in 5th grade, graduate in June so she can be the only Charlotte in the school! Well now! That’s Charlotte of Brooklyn to you! Here’s to Princess Charlotte of Cambridge and to Charlottes everywhere! Love the name Charlotte & also thought that was the name they would choose. So appropriate that Charlotte's middle names are after her grandmother & her great-grandmother. 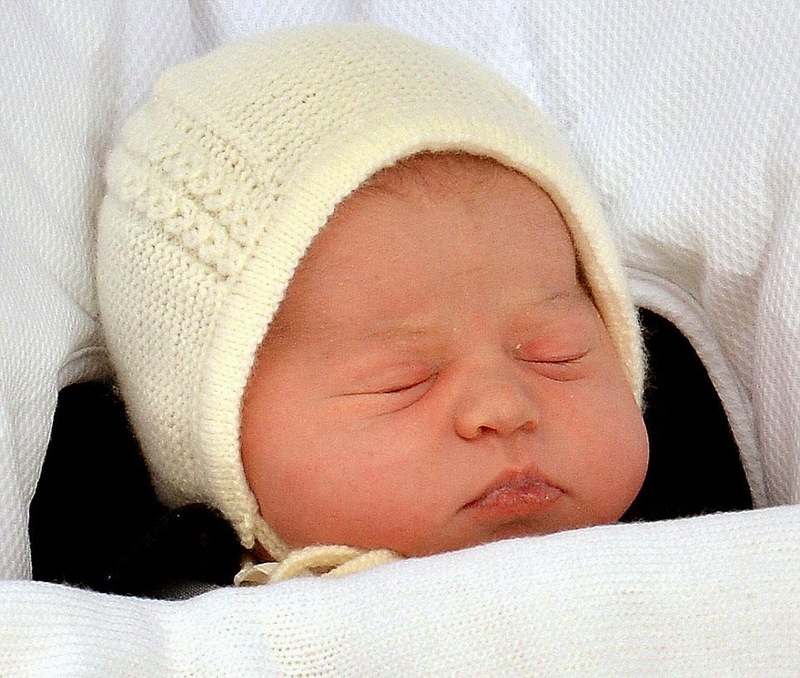 Think this new princess has her big brother's adorable cheeks. What a beautiful family. And on a side note, hope this little Charlotte of Cambridge grows up to be as cute as little Miss Charlotte of Brooklyn, my adorable granddaughter! 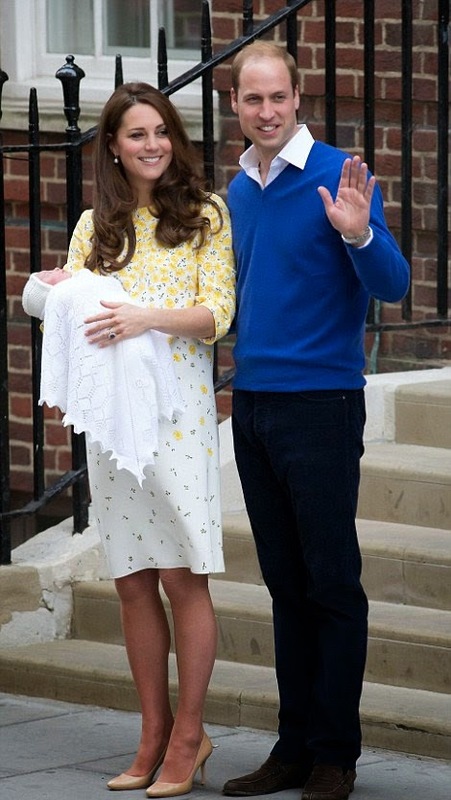 Will & Kate such a great couple and now have brought a couple of adorable children into the world. Welcome Princess Charlotte! ...I'll bet Hush Hush Sweet Charlotte of Brooklyn does grow up to be a great beauty like her mother and grandmother! I have a granddaughter named Charlotte also, born last September before either the Clinton's or the royals. Glad they are following OUR lead, huh? Queen of my heart!